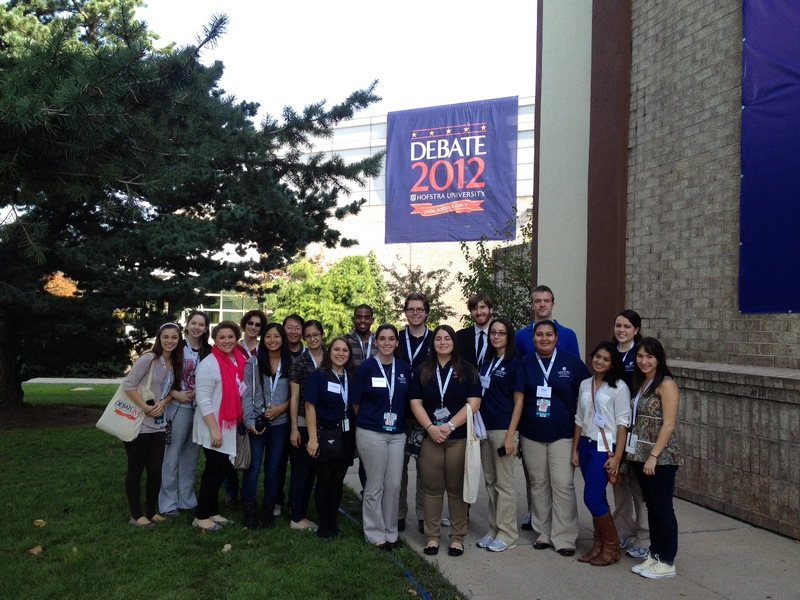 Hofstra Student Life: Students made #HofDebate a success! 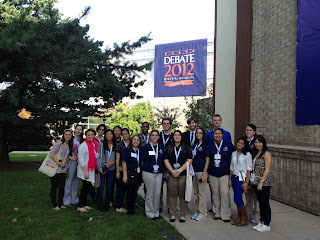 It’s hard to believe that after nearly a year of planning, Debate 2012 has come and gone. I was fortunate enough to be on campus in both 2008 and 2012, and I think the energy and participation by students this year topped 2008, which I didn’t think was possible. We put out a call for student volunteers in June, and by September 1, nearly 400 students were selected and placed into a role. Simply put, the Debate could not have run without the student volunteers. 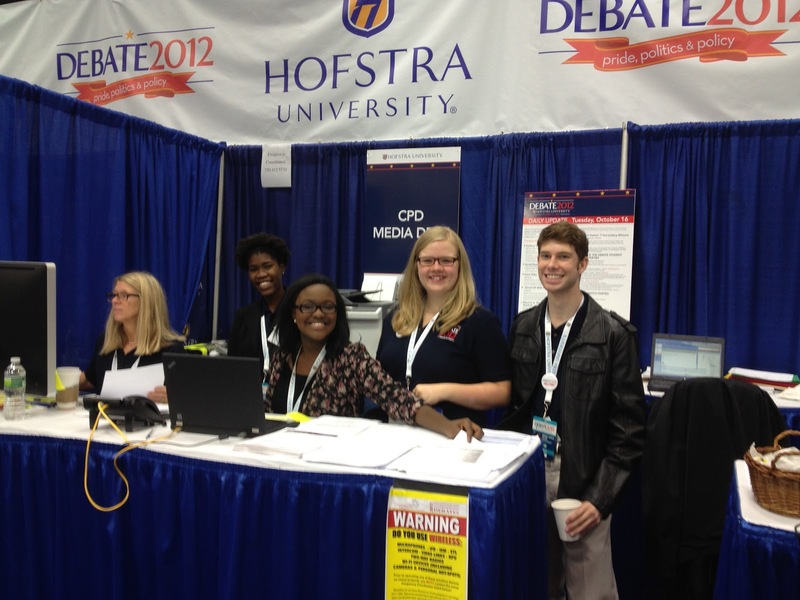 From working with the media and the Commission on Presidential Debates, to filling roles in the Media Filing Center, Credentialing, Security, campus events, and more, students were everywhere this week in their blue polos and credentials. 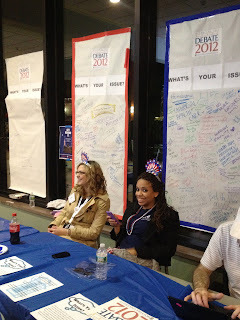 Hofstra has received so many compliments on the skills, work ethic, and flexibility of this army of student volunteers. We couldn’t be prouder! 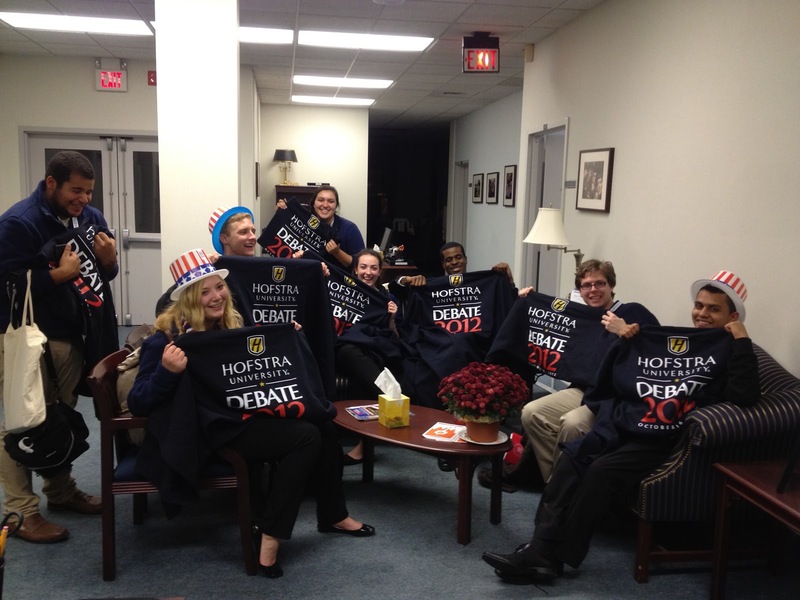 There has also been a group of students (and members of Student Affairs) who have been hard at work since January, working to engage students in #HofDebate, increasing visibility and excitement during events like Fall Festival, and most importantly, planning the events for students who were not going to attend or work the Debate on October 16. Their hard work, dedication, and enthusiasm came through yesterday at Issue Alley and at our four “Embrace the Debate” watch parties. We estimate that close to 2,000 students joined a watch party and took part in all the activities planned by the Student Debate Committee—not counting the myriad students joining morning shows at 4am, hanging out at the “Hardball” set, and taking in the energy of campus throughout the day. 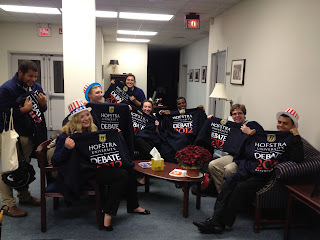 I am so grateful I got to know and work with so many amazing Hofstra students this year. You inspired me, kept me motivated through long hours, and made me laugh when I needed to. Seeing the absolute joy on your (tired) faces last night made every bit of that work worth it, and I know every one of my colleagues in Student Affairs felt the same. So, thank you. Want to do it again?!? #RollPride!